PLEASE NOTE THAT IF YOUR INVITATION AND PAYMENT ARE NOT POSTMARKED BY MARCH 15, 2018, YOU WILL NOT BE ALLOWED TO FISH THE TOURNAMENT. NO EXCEPTIONS WILL BE MADE TO THIS RULE!!!!! If you would like to send one check and cover all of your pots you can send check for $1,400 and be done!!!!!!!!!!!!!!!!!!!!!!!!! This Page will be available during registration at the Pavilion Thursday night and all Participants must sign to be eligible to fish this tournament. If you can not make registration contact a committee member (contact info at bottom of this form) to make arrangements to sign. For good and valuable consideration including the acceptance of my/my minor child's entry or participation in the Todos Locos Invitational Fishing Tournament (TLIFT) and or events held at Port Mansfield Pavilion, the undersigned hereby releases and agrees to hold harmless the TLIFT, Port Mansfield Pavilion and the directors, officers, committee members, owners, management of the same and their respective heirs, successors, assigns, officers, directors, employees and agents from and against any damages or claims whatsoever (including, without limitation, claims from personal injury, death or damage to personal property). The undersigned further agrees to indemnify, defend and hold harmless TLIFT, Port Mansfield Pavilion and the directors, officers, committee members, owners, management of the same and their respective heirs, successors and assigns and their employees or agents from any claim for personal injury, death or damage to personal property arising in any way out of my/my minors child's entry or participation in the tournament or any of its related activities. For good and valuable consideration, including the acceptance of my/my minor child's entry in TLIFT, I hereby agree that the TLIFT committee members, or the TLIFT weigh-master may, in their sole discretion, require me/my minor child, to take a polygraph examination before a polygraph examiner of their selection. I understand that the decision of the TLIFT committee members, its weigh-master and its polygraph examiner are final in that regard. I hereby waive my/my minor child's right to bring a legal action against TLIFT, it's officers, directors, committee members, agents, servants or employees, including but not limited to any and all weigh-masters or polygraph examiners employed by TLIFT, to seek damages of any sort because of my/my minor child's being required to take a polygraph test or being disqualified. I understand that me/my minor child's disqualification from the tournament will result in my/my minor child's disqualification in the future TLIFT events. Thursday April 4, 2018 PLEASE NOTE DAY AND TIME CHANGE!!! 10:00pm – Fish Pots close, BUT STAY FOR SOME DRINKS, that is why we moved it to Thursday night so we can all hang out! PLEASE READ: Tournament Committee has voted that in the event of unfishable weather on Saturday, the tournament will be moved to Friday. Please make arrangements to be prepared to fish Friday if the weather forces us to move the tournament up a day. No refunds will be given and we will communicate any changes in fishing day to captains via ICATCH app!!!!!!!!! 1. Only artificial lures may be used. 2. Teams shall consist of no more than 3 persons. 3. This is an invitational tournament. All participants are subject to approval by the Todos Locos Committee. No fishing guides, professional or tournament anglers are allowed to fish TLIFT without written consent from TLIFT committee. No substitution anglers will be allowed without written consent from TLIFT committee. 4. This is a one-day tournament to be held on Saturday April 6, 2019. All teams must be, on the dock with fish, and recognized by the weigh master at the Port Mansfield pavilion by 4:30pm, no exceptions. 5. Each team may weigh in a maximum of 2 redfish, 2 trout, and 2 flounder. 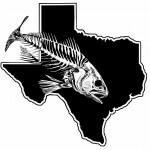 All fish must be within Texas Parks & Wildlife legal limits. Please note 1- 25” trout per angler. No tagged oversize redfish can be weighed as part of tournament stringer. Tournament stringer must be pre-selected prior to weigh in. Any fish on team stringer that is disqualified cannot be replaced. 6. Weight will be determination of winners. In case of a tie, the longest fish will win. If a tie in length occurs, the first fish weighed will be the winner. 7. Combined weight of team stringer will determine overall tournament champion. In case of a tie in combined weight, combined length will determine the winner. If a tie in overall length then the first team weighed will determine winner. 8. Any protest must be brought to the attention of the committee before 5:00pm on April 6, 2019. All decisions made by the committee are final. 9. This tournament is by invitation only; you must have an invitation from a committee member to fish. Do not forward invitations! 10. This is a non-profit charitable tournament. All entry fees go toward expenses, the remainder will be paid out as prize money for team stringer minus donation that will go toward selected charity. 11. Clock @ the Port Mansfield pavilion will serve as official time. Participants are encouraged to synchronize watches with this clock to avoid disqualification. 12. All entrants must have a valid Texas Fishing License and Saltwater stamp. 13. All entrants may not be on a boat with a paid fishing guide in the Laguna Madre after March 7, 2019. 14. Fish must be fresh and in edible condition. No mutilated or frozen fish will be accepted. 15. Fish will be weighed only one time. Tournament scales and ruler are the only official measuring device. 16. One rod per angler fished at one time. 17. All decisions of the weigh master are final. 18. Only the captain and up to two team members are allowed on the boat the fishing day of the tournament. 19. Teams can utilize only one boat no kayaks or float tubes. 20. Teams may depart from the Port Mansfield Harbor after 5:30 am the morning of April 6, 2019. Fishing begins at 7am. There are no boundaries for this tournament, but all participants must leave by boat from the Port Mansfield Harbor. A Redfish that is a candidate for the Most Spots on a Redfish Pot can also be used on the team stringer.